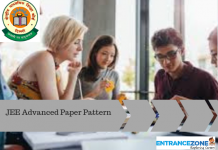 WBJEE 2019 Eligibility Criteria is set by West Bengal Joint Entrance Examination Board. The eligibility criteria for appearing in the WBJEE-2019 and General Academic Qualifications for admission to Engineering/Pharmacy Courses is given here. And the Exam is conducted for admissions into various Engineering as well as Medical colleges in the State. And the list of colleges includes Government as well as Private colleges. The exam will take place in an Offline mode or pen and paper mode. The candidate should check WBJEE 2019 Eligibility Criteria regarding the examination. And the candidates must strictly follow the eligibility. Before applying for the exam, the candidate must ensure that he/she satisfies the eligibility criteria as defined by the Board. If the selected candidate is found ineligible, they will have to face cancellation and will not receive their fee back. 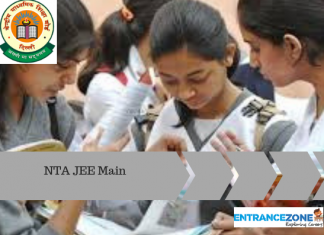 WBJEE 2019 is the entrance exam for admissions into various courses at colleges in WEST BENGAL. WBJEE 2019 Application process will be started from 26 December 2018. 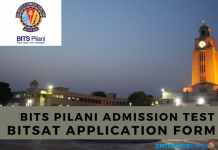 And, The last date to submit the Application form is 22 January 2019. Correction in Application form can be done by visiting the official web page of WBJEE 2019 from 26 – 28 January 2019. WBJEE 2019 Entrance Examination is scheduled on 22 April 2019. 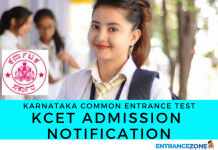 Candidates download the Admit card for the same tentatively from 10 April 2019. The candidate must have done their 10+2 Examination with Physics and Maths along with any one of Chemistry/ Biology/ Biotechnology/ Computer Science/ Computer Application as compulsory subject with individual passing marks (theory & practical) in all 3 subjects mentioned above. Every candidate appearing for the exam must be an Indian citizen. To appear for the exam, the candidate must be at least 17 years old, there is no limit on the upper age. For Marine Engineering aspirants, the lower age limit is 17 years and the upper age limit is 25 years. These age limits are must for the same as these are set by the admission Authorities. Under the Domicile/Resident requirement, some mandatory documents will be available on the official website of the examination. According to the Calcutta University and Jadavpur University, the candidate must have passed class 12 exam from a Recognised Board including West Bengal Council of Higher Secondary Education. And must pass the subjects including physics, chemistry, and Mathematics individually and score at least 60% for the General category. And 55% otherwise along with 30% in English to qualify for sitting for the exam. For all the other colleges and the Department of jute technology, the candidates need to pass in Physics and Mathematics compulsorily along with one subject out of Biology, Biotechnology, and Chemistry with a minimum of 45% marks for the General category and 40% marks for the others. In addition to this, the candidate needs to score a minimum of 30% in English. Candidates who apply for Marine Engineering need to score 60% marks in PCM and pass all the three subjects individually. In addition to this, the candidate must have scored 50% in English in class 10 and 12. The gateway to the Entrance for the students at Jadavpur University is purely on the basis of merit rank one has secured in the entrance test. Candidates belonging to UP/Bihar are also studying at Jadavpur University among others, same goes for the Calcutta university. but, Students belonging to sc/st/obc category have to sit as the General candidate if they don’t have the Domicile of the State. Also, the Government colleges in West Bengal except JU and CU does not take students from other states. There is no restriction on the number of attempts for West Bengal Joint Entrance Examination 2019. 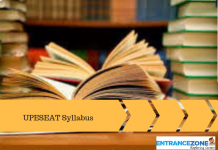 As per WBJEE 2019 Eligibility Criteria published by WBJEEB, the students from following Boards and council are eligible to sit in the West Bengal Joint Entrance Examination. The List of Recognised Board/Council PDF is available here. The candidates should follow the Eligibility Criteria for WBJEE 2019 guidelines without fail.